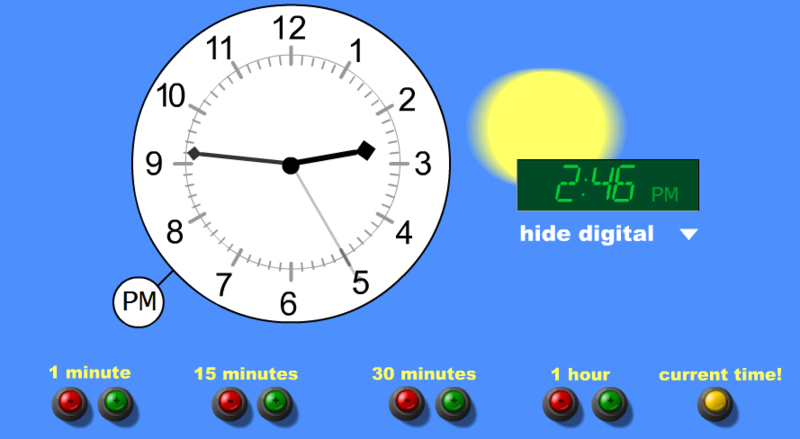 This interactive website lets you move the minute hand by different increments ( 1 min., 15 min., 30 min., and 1 hour). Once you have read the time on the analogue clock, you can check with the digital clock to see if you are right. 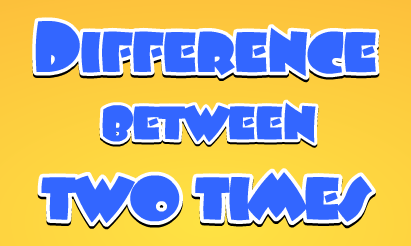 The difference between two times. 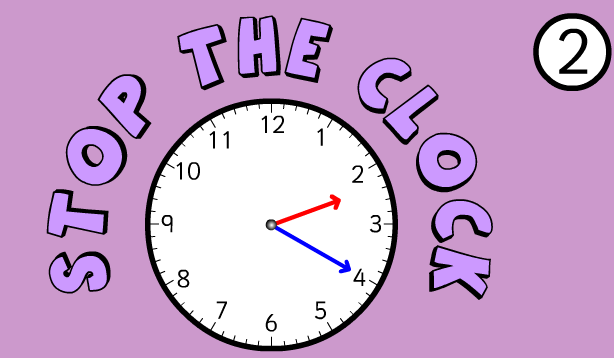 Use this website to practice elapsed time and the 24hr clock. Time travel -There are different levels. Pick one that challenges you! correct analogue clock. This version wants you to match the time in 1/2 hour increments. Play Stop the clock (15 min.). Match the digital clock with the correct analogue clock. This version wants you to match the time in 15 minute increments. 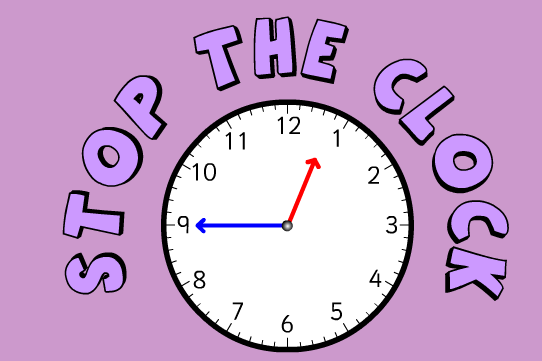 Play Stop the clock (5 min.). Match the digital clock with the correct analogue clock. This version wants you to match the time in 5 minute increments. Play Stop the Clock (1 min). Match the digital clock with the analogue clock. This version wants you to match the time to the minute. It's trickier than you might think.